'S ann à Wikimedia Commons a tha am faidhle seo agus faodaidh gu bheil pròiseactan eile 'ga chleachdadh. Chì thu an tuairisgeul a tha aice air [duilleag tuairisgeul an fhaidhle https://commons.wikimedia.org/wiki/File:Flag_of_the_People%27s_Republic_of_China.svg] gu h-ìosal. 02:45, 15 dhen Iuchar 2010 3,000 × 2,000 (1 KB) Zscout370 Ok, I learned some new SVG code tricks, so I was able to apply the exact specs from GB 12982 to make sure this flag is very accurate with the stars. 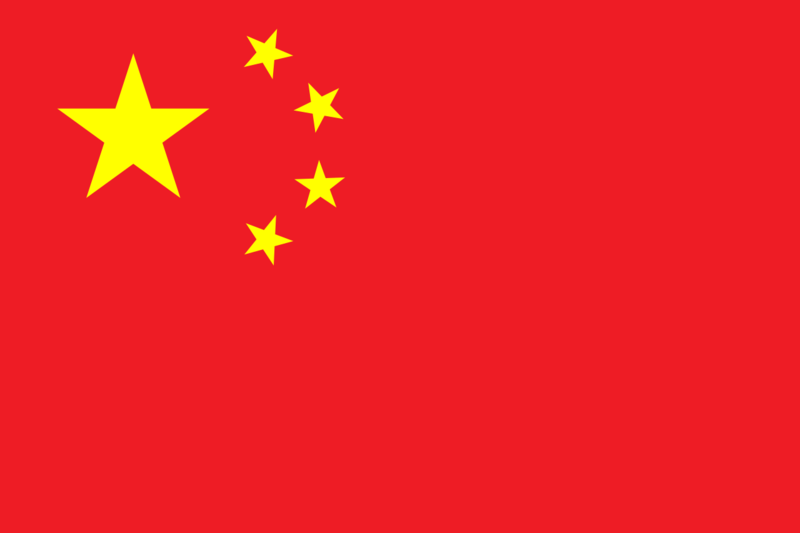 Air a tharraing à "https://gd.wikipedia.org/wiki/Faidhle:Flag_of_the_People%27s_Republic_of_China.svg"